People spend a third of their lives with a bed mattress, but hardly give it any consideration at all. It is children, pets, spouses, and jobs that occupy the minds of today’s busy person. 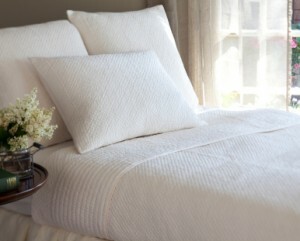 Very few people ever stop to consider the cleanliness of their mattress, much less, have the time to clean it. The truth is that an unclean mattress impacts health and affects the quality of sleep. It is not only stains from spills or other accidents that demand a quality mattress cleaning. Dust mite and bed bug infestations are increasing all over the world. These parasites are drawn to the skin and hair naturally left behind on a mattress. Their presence can lead to the appearance of allergies and bites that result in sleepless nights, with endless itching the next day. Tackling a mattress cleaning without professional help can be a disaster waiting to happen. Wetting the mattress too deeply, or not drying it properly, can cause mold to grow inside. The result is a ruined mattress. If the mold goes undetected, potentially serious health reactions can occur. A quality mattress cleaning service will also know which cleaning materials are safe and right for the job. A freshly cleaned mattress looks and feels better. It improves peace of mind and the quality of sleep. A professional mattress cleaning is a wise and very affordable investment in good health.